These two tank tops win over demanding men twice! 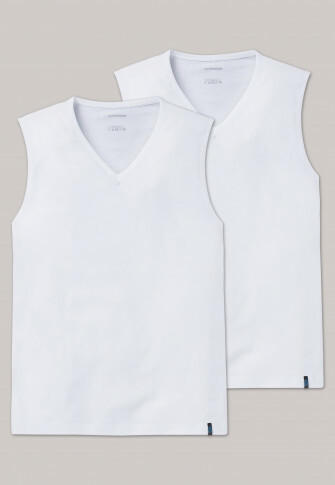 In a practical multipack, 95% pleasantly soft, premium Pima cotton meets 5% elastane - a blend of materials that retains its shape at all times and ensures maximum comfort. 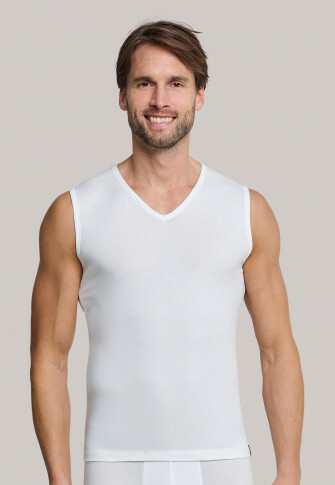 Its low v-neck makes it the perfect undershirt to wear underneath any dress shirt. An underwear double pack in the best SCHIESSER quality! 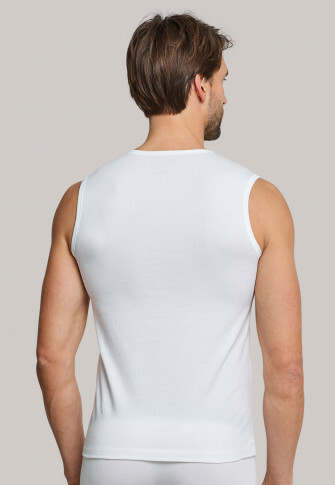 with low v-neck - perfect underneath dress shirts!